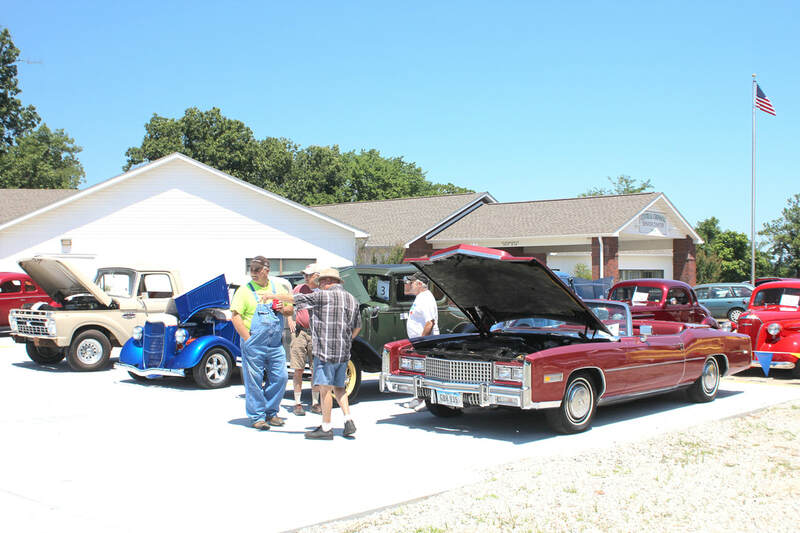 The Central Crossing Senior Center recently held a car show on Thursday, June 28. 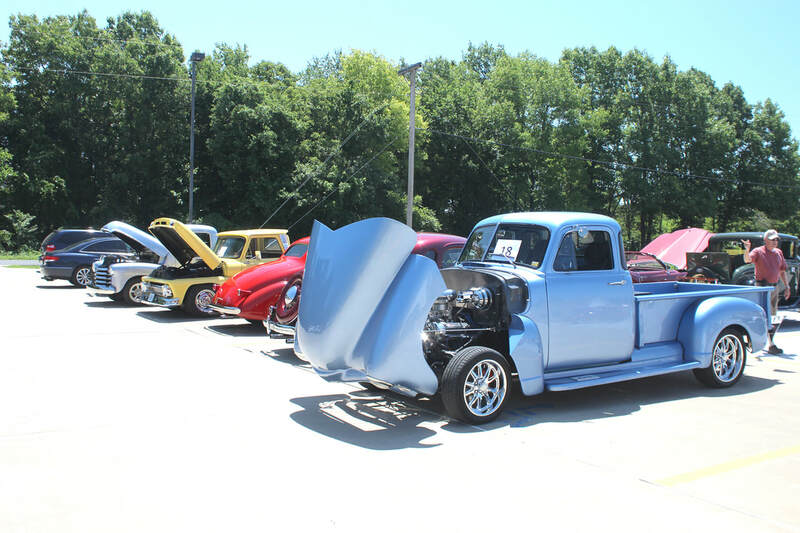 There were 12 antique and classic autos gracing the Center’s parking lot with around 120 spectators checking them out. This year’s winners were: Bob and Rose Carlson, third place with a 1936 Ford Pickup truck; Joe and May Pat Richardet, second place with a 1967 Pontiac GTO; and Ron and Judy Bass, 1st place with a 1930 Ford, Model A. 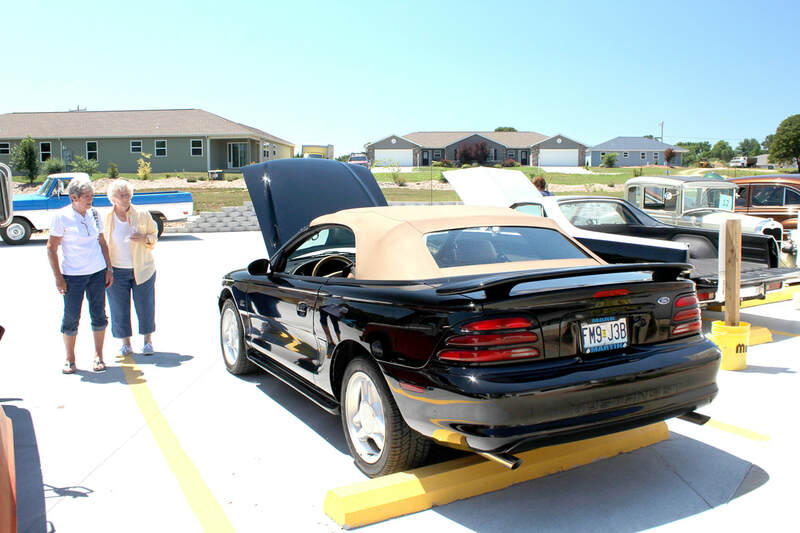 A group at the Central Crossing Senior Center’s car show talk about the different cars on display. Pictured above, from left to right: Mile Riley, of Shell Knob, Don Spirk, of Shell Knob, Don Erickson, of Shell Knob, and Bill George, of Shell Knob. Shell Knob residents Pat Rickard (left) and Kay Standley (right) check out some of the cars during Central Crossing Senior Center’s car show on Thursday.